"Where is it?!?" Holy crap! You have to see this! Fox has dropped the second official trailer for Ridley Scott's Alien: Covenant, the latest movie in the Alien franchise. This spooky trailer is all about the big reveal of the new xenomorph (or the neomorph?) from the movie, which looks totally gnarly. Seriously! This looks so damn good, much better than the first trailer. The huge cast includes: Michael Fassbender, Katherine Waterston, James Franco, Billy Crudup, Danny McBride, Carmen Ejogo, Callie Hernandez, Demián Bichir, Jussie Smollett, Uli Latukefu, Benjamin Rigby, and Amy Seimetz. Now this is what I'm talking about! Totally an exciting trailer, the perfect little glimpses of soon-to-be iconic moments. I hope we don't see anything more than this before the movie hits theaters, because what a great tease! Wow. You can still watch the first red band trailer for Alien: Covenant here, or the Opening Prologue for more. The crew of the colony ship Covenant discover what they think is an uncharted paradise, but it is actually a dark, dangerous world, whose sole inhabitant is the synthetic David, survivor of the doomed Prometheus expedition. 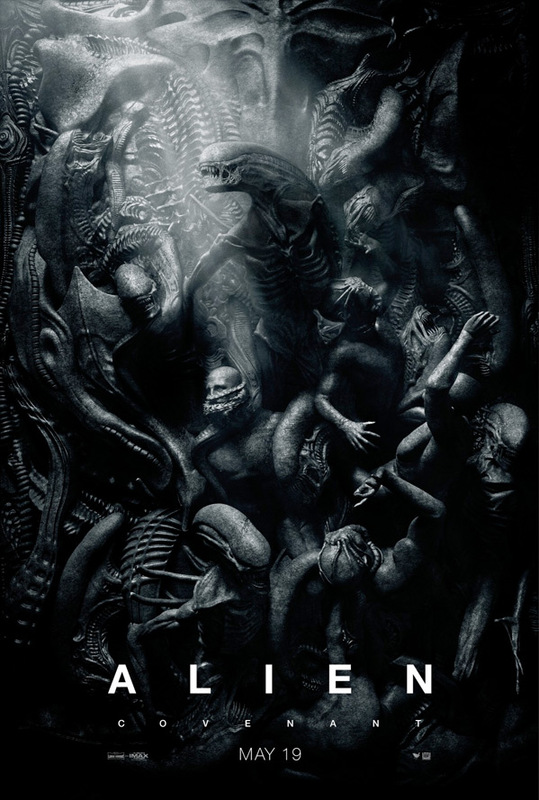 Alien: Covenant is once again directed by veteran filmmaker Ridley Scott, of the original Alien from 1979 and Prometheus from 2012, as well as the films The Martian, Gladiator, Robin Hood, American Gangster, The Counselor, Matchstick Men, Blade Runner, Black Hawk Down, Kingdom of Heaven and Legend previously. The screenplay is by Michael Green and Jack Paglen, with a rewrite by John Logan. Fox will release Alien: Covenant in 3D in theaters starting May 19th, 2017 this summer. Looking better now?